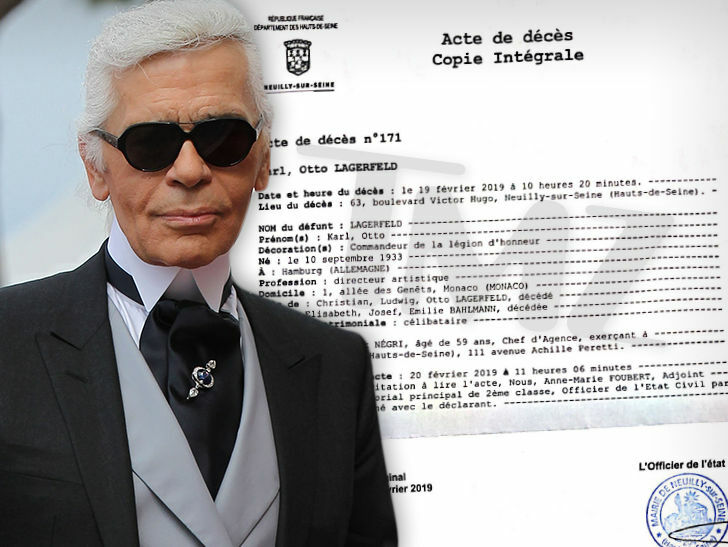 Iconic fashion designer Karl Lagerfeld is being remembered in France as one of the nation’s favorite adopted sons … and it’s all spelled out in his death certificate. We’ve obtained Karl’s death certificate, issued last month in Paris, and it highlights the fact that the German-born designer was awarded the prestigious decoration, Commander of the Legion of Honor … France’s highest civil merit. 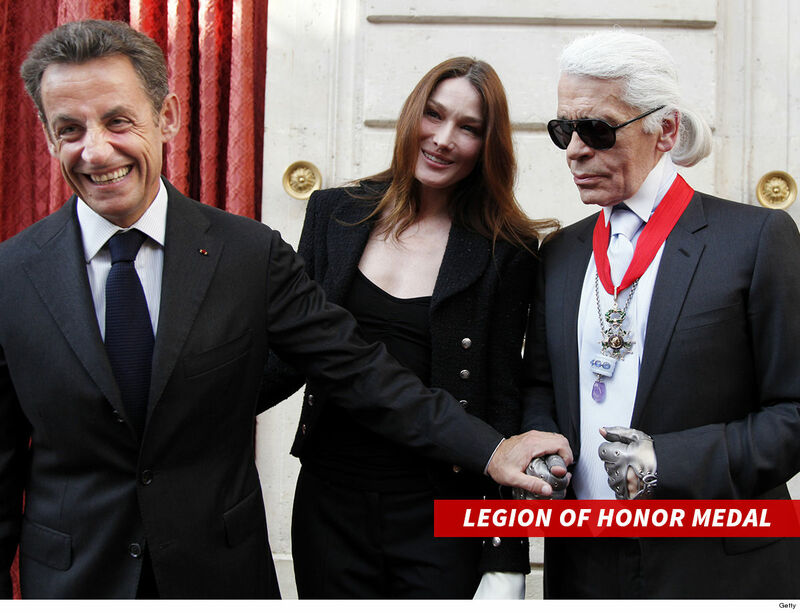 Former French President Nicolas Sarkozy presented the medal to Karl in 2010 … well-deserved, because Karl spent 55 years designing in Paris, so the Parisians made sure the honor wasn’t forgotten. Fun fact: Napoleon started the Legion of Honor in 1802. 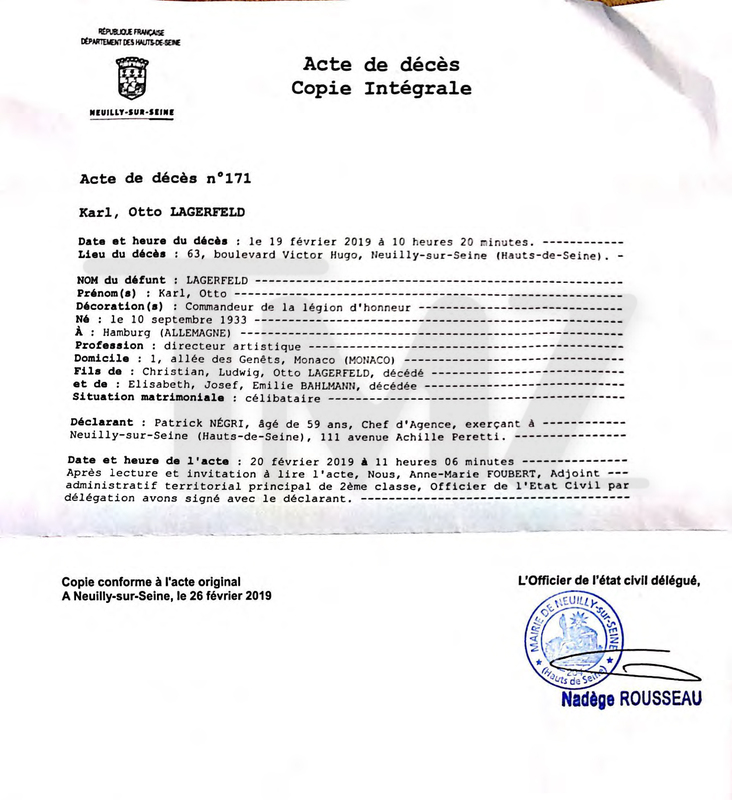 As we reported — Karl died February 19 in a Paris hospital — the certificate lists 10:20 AM as the time of death. 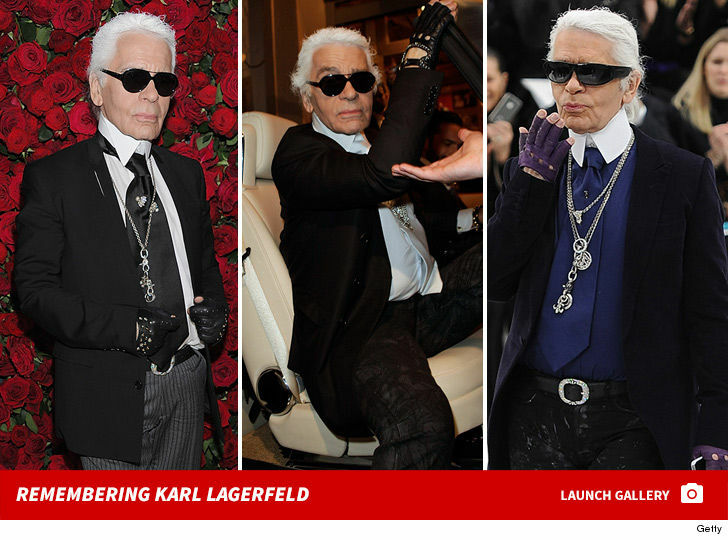 The cause of death is not revealed … though Karl was battling pancreatic cancer. The certificate lists “artistic director” as Karl’s profession. As you know, he was the toast of the fashion world for decades, designing for Fendi and Chanel. 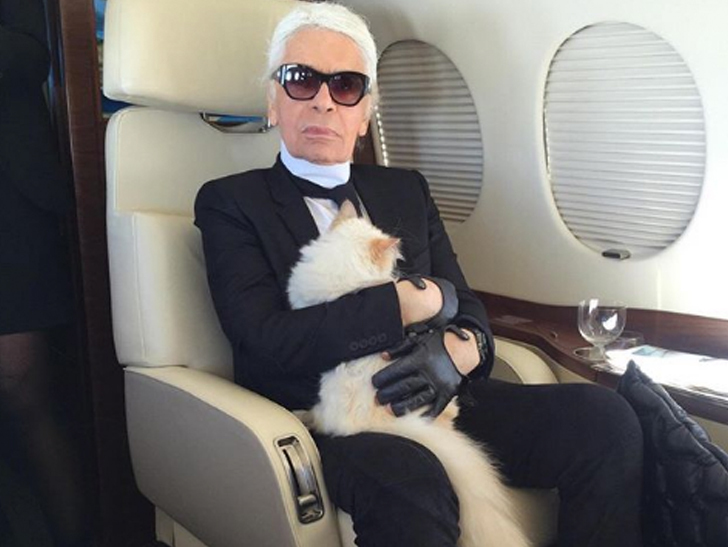 The doc says Patrick Negri, the branch manager of a Barclays Bank, identified Lagerfeld’s body … if only Karl’s beloved cat, Choupette, could talk.